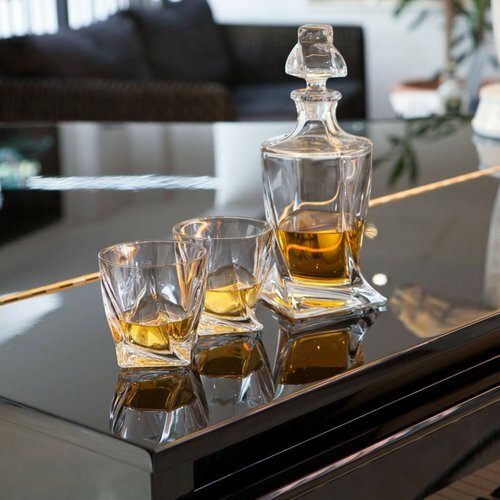 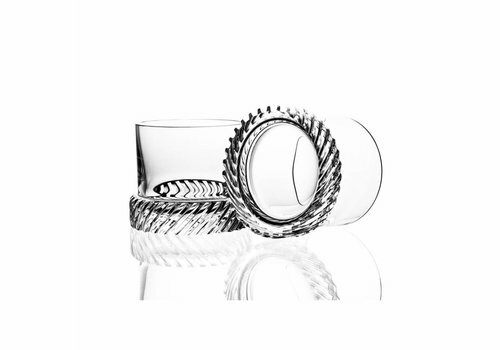 Inspired by both the artisan hand cut crystal and the mechanical gear cutting techniques, the pair of the Scotch glasses have the look and feel that compliment the technique and tradition of single malt whiskey distillers. 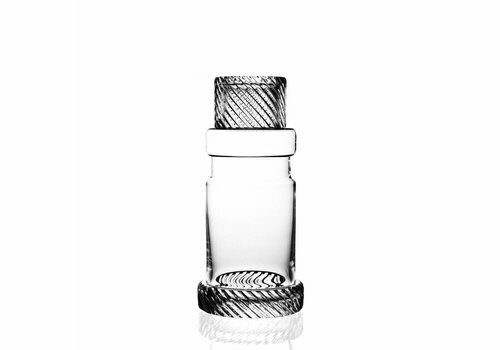 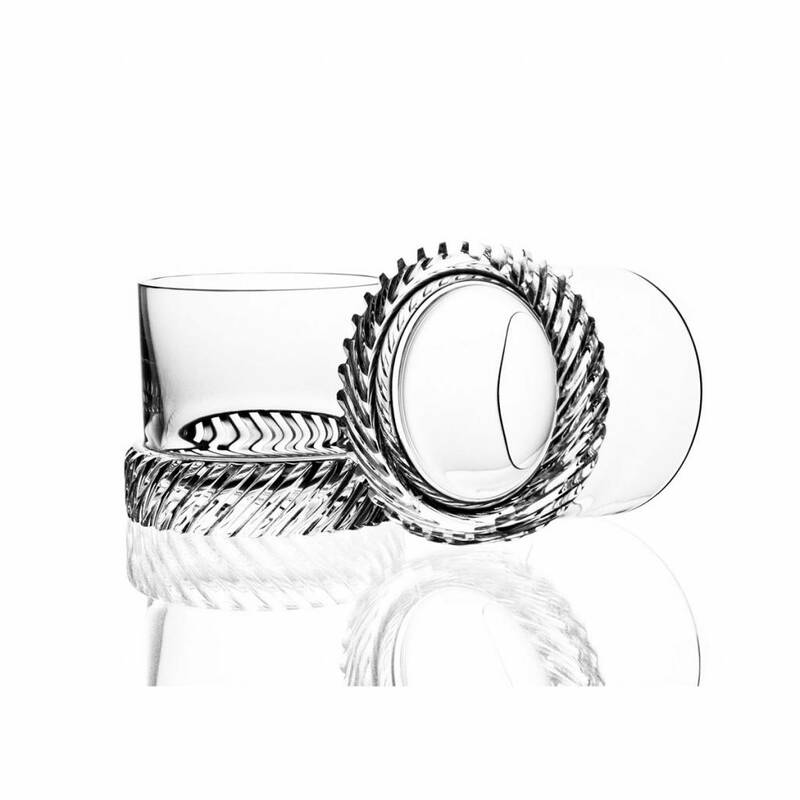 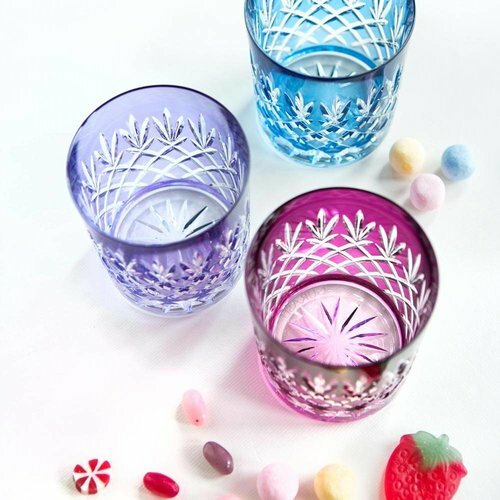 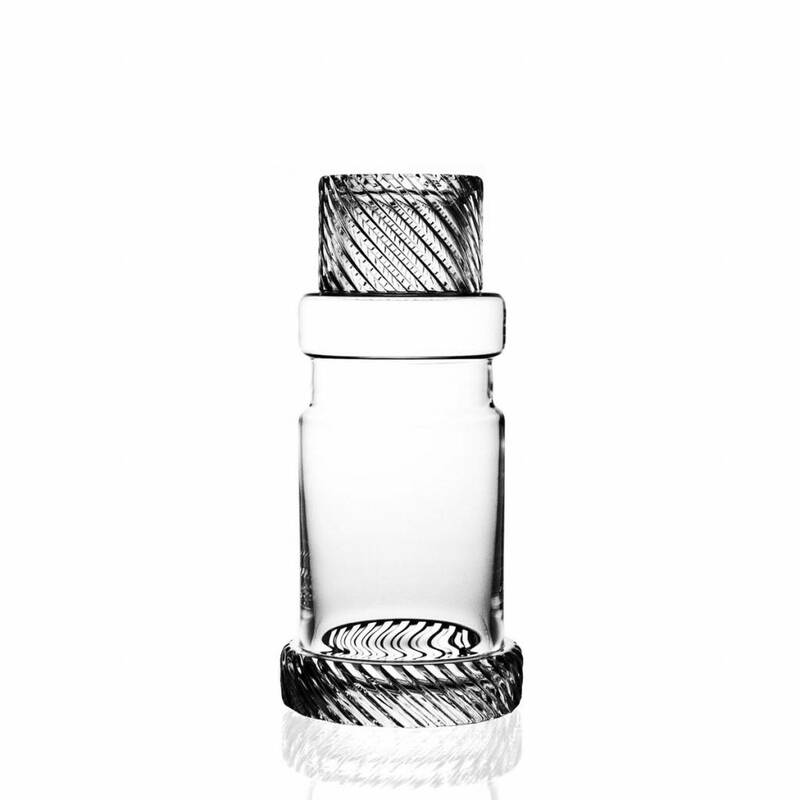 Each pair of tumblers has an opposing spiral profile cut into it so they mesh together resembling interlocking gears. 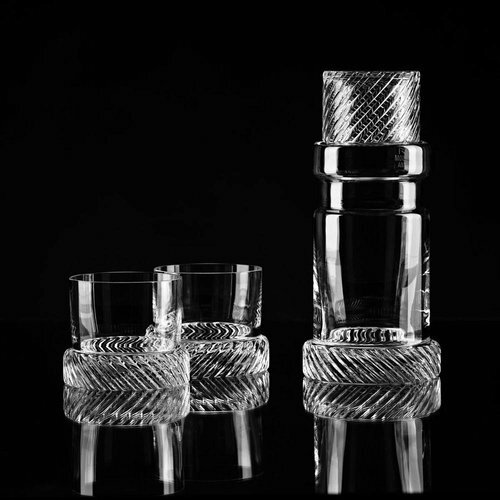 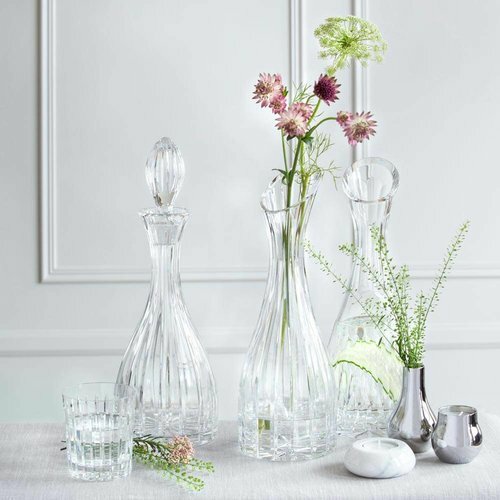 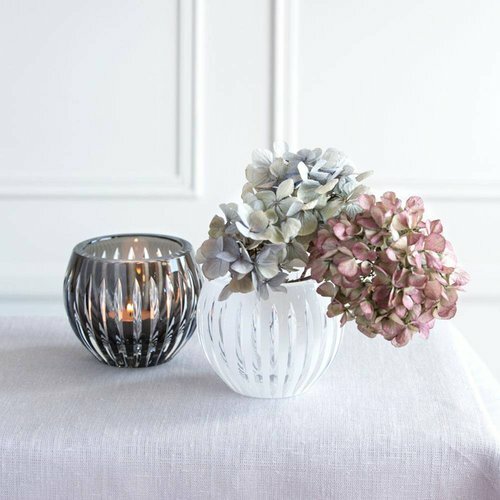 The tumbler set is accompanied by the Carafe with cover cut in the same motive.